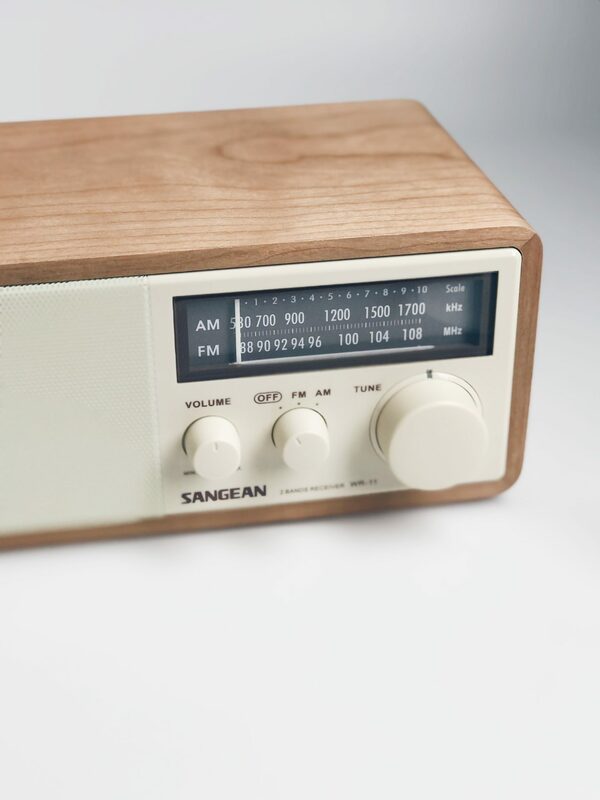 Go retro with the Sangean AM FM Analog Hi-Fi Radio. With wooden MDF cabinet housing and classic rotary volume controls, it boasts an appealing build and style that evokes the classic mid-century look for the modern age. The stereo headphone jack and auxiliary input make the Sangean radio compatible with modern technology for the best of both worlds. 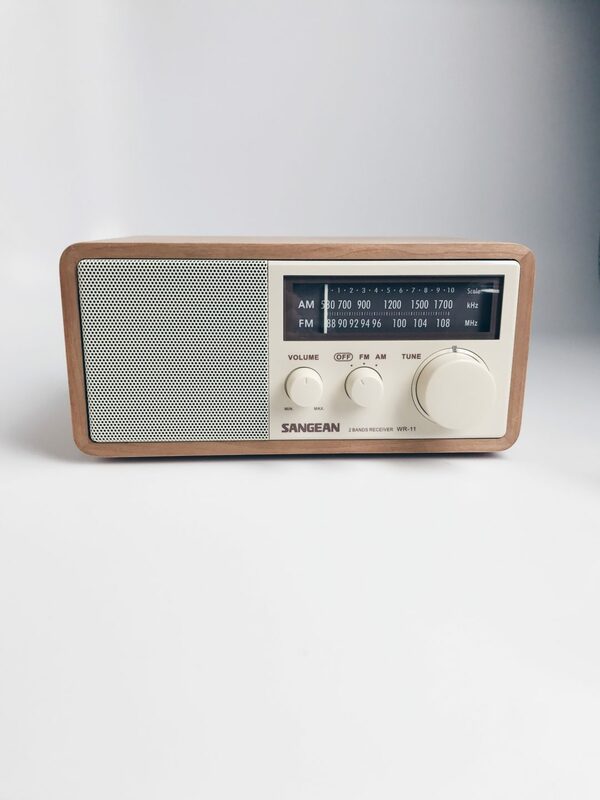 Analog sound is considered to have higher sound quality by purists, and this radio delivers a true analog experience. Listen to your favorite stations in either AM or FM. It also comes with an external antenna to pick up signals and an LED-lit band selector. The 3 7W full-range speaker contains an enlarged magnet and dynamic bass compensation for enhanced music quality. True classics never go out of style and this Hi-Fi radio proves the rule.